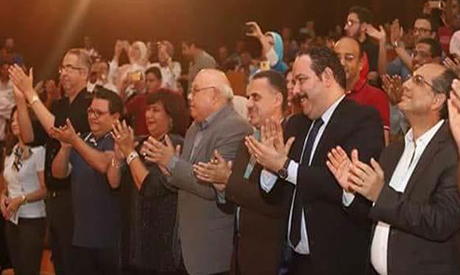 The head of the Egyptian Artistic Theatre House Ismael Mokhtar has announced that comedy show Abou Kabsoula will extend its run for 15 more nights. It's the third time the show has been extended, after it gained public success following its premiere during Eid Al-Adha. 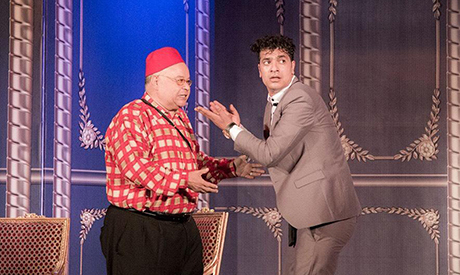 Abou-Sriea, who has caught the public’s attention after starring in a number of recent TV shows and films, also wrote the lyrics of the play’s songs, which were composed by Karim Arafa and arranged by Ayman El-Turki. The crew is mainly from Alexandria theatre group: Hassan Abdel-Fattah, Alaa Zeinhom, Nourin Karom share the stage.